July is National Ice Cream month—and my nephew Michael pointed out to me recently that I haven’t posted a single ice cream recipe in the past 31 days. With August on the horizon, I am rushing to rectify this shocking omission. I recently put out a call for summer sandwich suggestions on Facebook and Twitter. Most of the responses involved tomatoes. After all, at this time of year none of us can get enough of those lush red fruits disguised as vegetables. I’ll post a couple of tomato sandwich recipes soon, I promise. 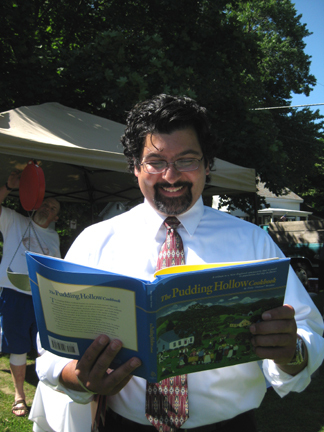 One warm day, my honorary cousin Deb Parker bucked the tomato trend by reminding me of one my (and Michael’s) favorite summertime treats, the ice cream sandwich! The woman is said to have enjoyed eating the cookie at a Neiman Marcus café and to have asked for the recipe. According to the story, the waitress says that she will have to charge the customer “two fifty” for the recipe, and the woman happily agrees. When her NM bill comes she finds a charge for $250 rather than the $2.50 she has been expecting—and she vows to take revenge on the high-end department store by passing the recipe along to everyone she knows. Before the internet the story and recipe were spread via letters; now they make the rounds by email. The Neiman Marcus Chocolate Chip Cookie story is a classic if fun urban legend, one that Neiman Marcus has finally acknowledged by inventing its own cookie recipe and placing it on the NM web site (for free, natch). That recipe looks good, but I wanted the chewiness that oatmeal lends to the “original” recipe. So that’s what I’ve used, cutting it down a bit since it makes a ton of cookies. Here, then, is my ice-cream sandwich recipe, thanks to whoever made up the faux NM recipe years and years ago. You may of course use homemade ice cream. I used Snow’s, a local brand that is creamy and old fashioned–just right for an ice cream sandwich. The sandwiches were wonderful, although next time I might try to make the cookies smaller and flatter. They were extremely filling this way. First, make the cookies. Preheat the oven to 375 degrees. Cream together the butter and sugars. Beat in the egg, followed by the baking powder and salt. Stir in the flour, oatmeal powder, and nuts (if desired). Stir in the chocolate chips and chunks. Divide the dough into 12 good-sized balls. Place them on parchment- or silicone-covered cookie sheets and bake for 12 to 14 minutes. Let them cool on the sheets for 2 minutes; then remove them to a wire rack to cool completely. 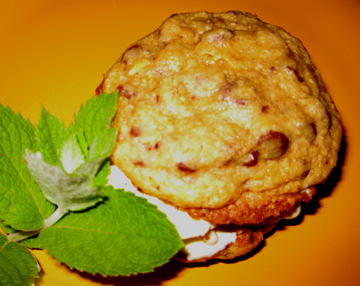 When you are ready to eat, place a scoop of ice cream between 2 cookies and press them together. Repeat with the remaining cookies. Serves 6 generously. Vote for Your Favorite Farmers Market! The American Farmland Trust is asking Americans to identify their favorite farmers markets in an online poll. I love this idea, and I hate to fan the flames of regional chauvinism. Nevertheless, I must admit that my flames are already fanned: I was incensed by the partisan article in which I found out about this effort. In Tuesday’s Los Angeles Times Russ Parsons wrote about the “grievous wrong” done to California farmers markets by the polling so far, which has not focused entirely on his state. He went on to urge his fellow westerners to vote for their local markets. I know Parsons’ tongue was in his cheek. Nevertheless, I reserve the right to take a small bit of umbrage at his assumption that bigger (in this case, a bigger growing season) is better. Farmers markets foster small farms and often small fruits and vegetables, which can be the most delectable of all. We in the northeast may not have a very long growing season, but we treasure our few days of harvesting just as we treasure our small farms and their produce. So without pressuring you, dear readers, to vote for any particular market, I urge you to participate in the poll. 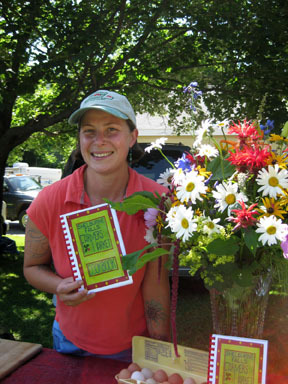 (I can of course HOPE that you’ll choose farmers markets in the northeast!) You have until August 8. If you have a market you particularly love, in addition to telling the American Farmland Trust about it please feel free to share it with readers in the comments section below. Enough venting! I’ll be back on Friday with a summery recipe and a better attitude…….. The woman fellow character actress Mary Wickes called “the best second banana in the business” would have turned 100 on Sunday, July 26. Vivian Vance was born Vivian Roberta Jones in 1909 in Cherryvale, Kansas. According to biographers Frank Castelluccio and Alvin Walker, it always bothered Vance that she was inextricably linked in the public mind with frumpy landlady Ethel Mertz in the situation comedy I Love Lucy. They also chronicle her ambivalent relationship with Lucy star Lucille Ball. Ball was at once Vance’s closest friend and a source of resentment. Playing second fiddle doesn’t sit easily on the ego. Never a complete professional success before or after her collaborations with Ball, Vance understandably longed to be a star on her own. She wanted to be free of Lucy and free of Ethel. If Vance could look back on her career today, however (she died in 1979), history might show her the value of her work. I Love Lucy paved the way for almost all television comedies that followed it, both in terms of technique and in terms of narrative. It also gave viewers an eternal model of supportive friendship. Lucy and Ethel were the forerunners of many TV gal pals to come, including the eponymous heroines of Laverne & Shirley, all of Charlie’s Angels, and Cybill and Maryann of Cybill. When my friend Teri Tynes and I used to drop in on each other across the courtyard of our Austin, Texas, apartment complex, the Casa del Rio, we liked to refer to ourselves as Mary and Rhoda (in homage to the Mary Tyler Moore Show). We could just as easily have called ourselves Lucy and Ethel. Their relationship epitomized the comfort, companionship, and adventurous spirit we felt with each other and sensed in these television comrades. 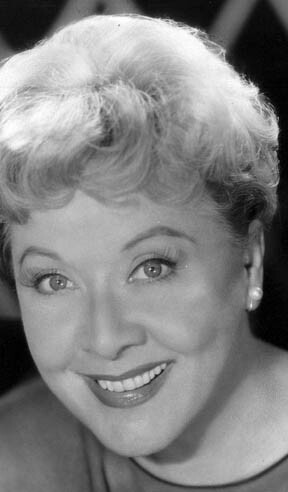 One of Vivian Vance’s frustrations was that she was often called upon to react in I Love Lucy rather than to act. It was Ethel’s grimacing face that told us that Lucy was about to do something outrageous, Ethel’s careful listening that gave Lucy a chance to expound on her latest scheme. This recipe comes from another Lucy/Ethel Mary/Rhoda friend, my graduate-school housemate Sara Stone. Sara is probably the most generous person I know. In the last year of my doctoral program I was convinced I had only a couple of weeks to go on my dissertation. Sara invited me to stay with her until it was finished. It took NINE MONTHS! Sara never complained; she just gave me unconditional support and shelter (not to mention grocery money). And she can cook, too! We all need friends like Sara. Of course, I’m still not entirely sure which of us was Lucy and which Ethel. Grease a standard loaf pan. Preheat the oven to 325 degrees. In a bowl, cream together the butter and sugar. Stir in the bananas, and then beat in the eggs. Beat in the baking soda and salt; then gently stir the flour into the butter mixture. Add the pecans if desired. 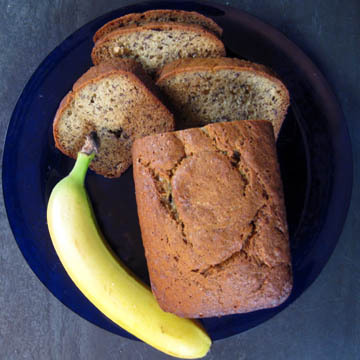 Bake until a toothpick inserted into the center of the loaf comes out dry. (Sara likes her bread a bit mushier than this, but my family likes it firm.) In my oven I tend to bake it for an hour, then turn off the oven and leave it for another 15 minutes or so—but by all means test your bread and YOUR oven. 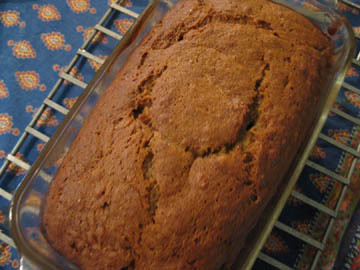 Cool the loaf on a rack for 20 minutes; then release it onto the rack to finish cooling. If you enjoyed this post, please consider taking out a free email subscription to my blog. It features easy but tasty country recipes with occasional musings on history, popular culture, and family life. Just click on the link below! Note from Tinky in 2010: Vivian Vance fans should check out this article about a Vivian Vance archive (including wonderful photos). Enjoy……. And Lucy lovers may be interested in my take on the end of I Love Lucy. Michael Collins is ready to start making pizza. The Green Emporium in Colrain, Massachusetts, is a happy, busy place these days. Chef Michael Collins and his partner, manager Pacifico “Tony” Palumbo, have achieved something few restaurateurs (or even non-restaurateurs) have managed. They have successfully reinvented themselves—or at any rate their restaurant. More than a decade ago the pair opened the Green Emporium as a high-end eatery. Michael used his culinary training and imagination to transform as many local ingredients as possible into “country fusion” cuisine. Tony, who is an artist, decorated the restaurant (a former church) with colorful neon art and paintings. The pair acted like true hosts rather than just proprietors of the restaurant. To make the place more fun they offered jazz on many weekends. (In the interest of full disclosure I should add that they frequently featured a chanteuse named Tinky Weisblat.) The Green Emporium began to attract diners from all over New England. The menu and ambiance drew notice from the Boston Globe and Yankee, not to mention local papers. Nevertheless, keeping the place going proved a challenge—particularly in the winter, when even lovers of great food were reluctant to navigate the steep hill from Greenfield, our county seat, to quiet Colrain. Michael and Tony, both in their 60s, longed for a simpler life. “I got burned out being behind the line and doing everything,” Michael told me recently. They put the lovely old church on the market but ran straight into the real-estate crisis. For a couple of years the building sat empty, and its owners suffered financially. Michael worked at creating his own crust for quite a while. “I think it was six months,” he told me with a smile. “We were constantly having pizza.” Using tiles in his oven at home, he finally came up with a crust that satisfied his palate. Michael is not giving out the recipe for his crust. He advises home cooks to purchase pre-made pizza dough from a grocery store but cautions them to let it rest a bit before stretching it. 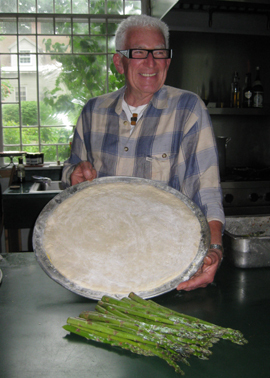 He did reveal that his crust includes extra-virgin olive oil, a touch of organic raw sugar, baker’s yeast, and sea salt. He emphasized the importance of good Colrain spring water to the final product. “Toppings were not a problem,” he added with a laugh, explaining that ideas for novel pizza toppings come to him all the time. Past and current favorites have included an apple and cider pizza; pizzas featuring local mushrooms from New England Wild Edibles and goat cheese from Hillman Farm; and now that summer is here a classic Pizza Margarita with fresh tomatoes and mozzarella. When new potatoes come in Michael intends to pair them in pizza with extra virgin olive oil, rosemary, and gorgonzola. The restaurant reopened in the fall of 2008 as Mike and Tony’s Pizzeria at the Green Emporium and became an immediate success. Michael leaves the manning of the giant pizza oven (which takes three hours to preheat) to young assistants. This leaves him free to work on soups, salads, his signature “Mussels Emporium,” and new pizza toppings. “People know it’s still the Green Emporium so they expect a little something extra,” Michael Collins said with a twinkle in his eye. The Green Emporium is open Thursday through Sunday evenings for diners or those who wish to take food home. If customers give him notice, Michael can prepare a gluten-free pizza. Here is a recipe for one of his signature pizzas, one that represents the extended spring diners in New England enjoyed this year—and also the spring that the restaurant has enjoyed in its rebirth. It features my favorite vegetable! Trim the bottoms off the asparagus spears, and cut them in thirds. 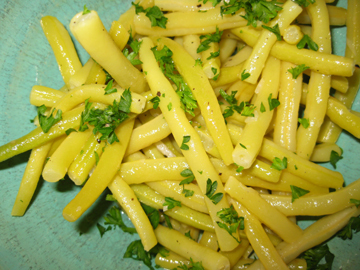 Combine the 1/2 cup oil, red pepper flakes, 1/2 cup grated cheese, zest, juice, and sea salt. Toss in the cut asparagus spears, and let the mixture sit overnight. The next day bring the pizza dough to room temperature and preheat the oven to 500 degrees. Place the dough on a round pan on which you have sprinkled cornmeal. Gently stretch the dough to a 16-inch diameter. Using a brush or spatula, brush oil around the outer edge of the circle of dough; it should go from the very edge in about 1-1/2 to 2 inches. Sprinkle the heaping cup of mozzarella cheese evenly over the dough. 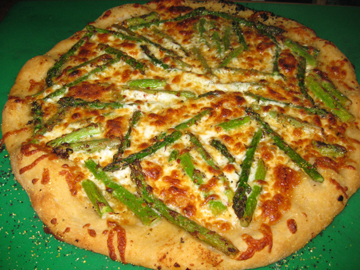 Sprinkle the remaining mozzarella on top, “cementing the asparagus in.” Follow with the remaining grated cheese. “You want to add chicken? You can add chicken,” Michael says of this stage. Let the pizza rest for a few minutes before eating and slicing. Serves 8 as a main course or 16 as a first course.